Ducati is poised to become the first MotoGP team to formally launch its 2019 campaign later on Friday. The Italian manufacturer will reveal its 2019 livery using an old bike at its launch event at the Philip Morris R&D Cube in Neuchatel, Switzerland, starting at 6pm local time (5pm UK time). It is expected the Ducati's new colours will give more prominence to title sponsor Philip Morris, possibly in the form of the 'Mission Winnow' branding that was added to Ferrari's Formula 1 livery in the latter part of 2018. Danilo Petrucci, who replaces Jorge Lorenzo alongside Andrea Dovizioso in Ducati's works line-up this year, will also be officially presented as a factory Ducati rider for the first time. Next to hold its launch event will be Honda on January 23 at Campus Repsol, the headquarters of the Japanese marque's title sponsor in Madrid. Lorenzo will make his first public appearance as a HRC rider alongside new team-mate Marc Marquez. Following that, two more launches will take place prior to the beginning of 2019 pre-season testing at Sepang on February 6-8. The new Petronas-backed SIC Racing Yamaha squad will show off the livery for its first campaign in MotoGP on January 28 in Kuala Lumpur. Yamaha's works team will hold its own launch event on the eve of the opening test on 4 February in Jakarta, which follows the three-day shakedown for test riders at Sepang. Yamaha is also expected to sport a different livery this year as Monster Energy replaces Movistar as its title sponsor. KTM will once again hold its launch event at its factory in Mattighofen, Austria, but will not do so until after the end of the Sepang test on February 12. Tech3, which now uses KTM machinery, will also make a reveal on the same date. It is understood that neither Suzuki nor Aprilia will hold formal launch events this year. 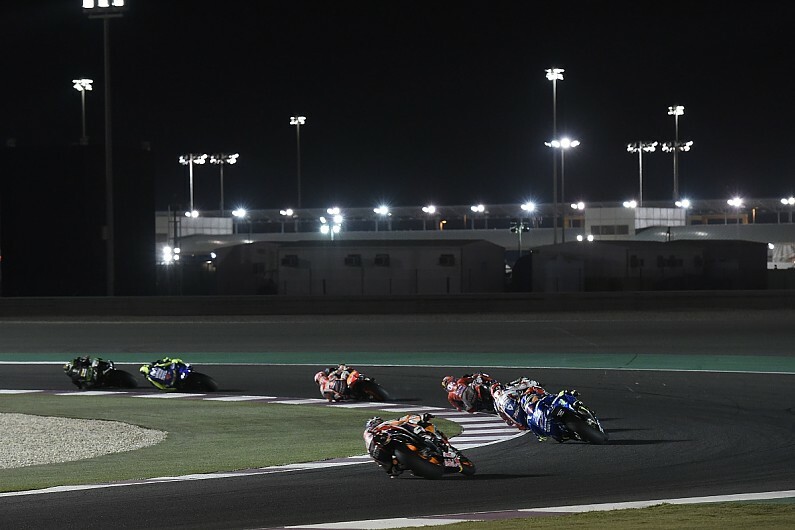 Following the Sepang test, there will be one more three-day pre-season test at Qatar on February 23-25, prior to the opening round of the season on March 10.